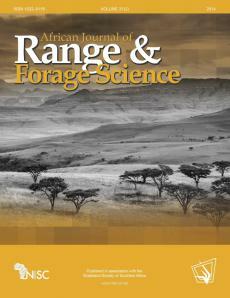 Local farmer knowledge of species distribution patterns and plant palatability in Namaqualand, South Africa, was assessed using Participatory Rural Appraisal techniques. These findings were compared with the results obtained using phytosociological techniques (species distribution), and with palatability indices published in the literature. It was found that farmers were knowledgeable of species distribution close to the settlement, but less so further away from the settlement. Farmer plant palatability rankings did not correlate well with the palatability indices found in the published literature, which suggests that palatability in semi‐arid regions are locality specific.